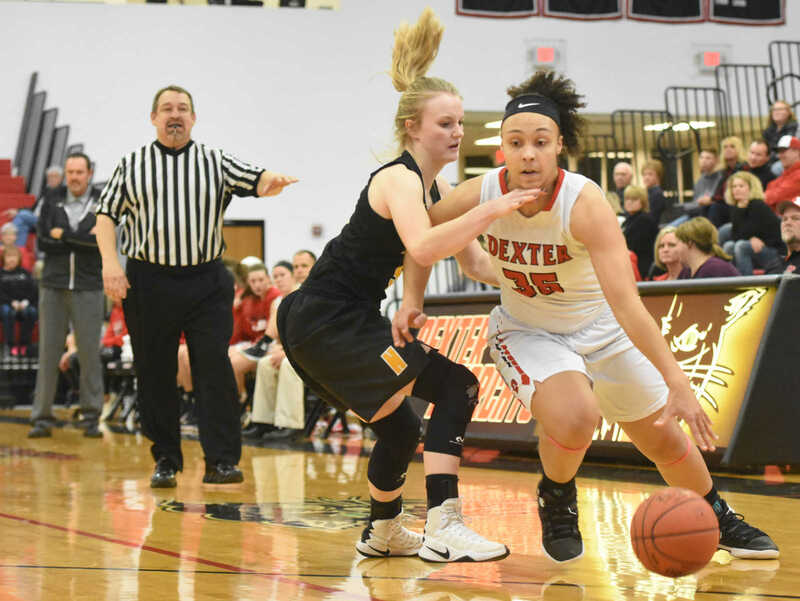 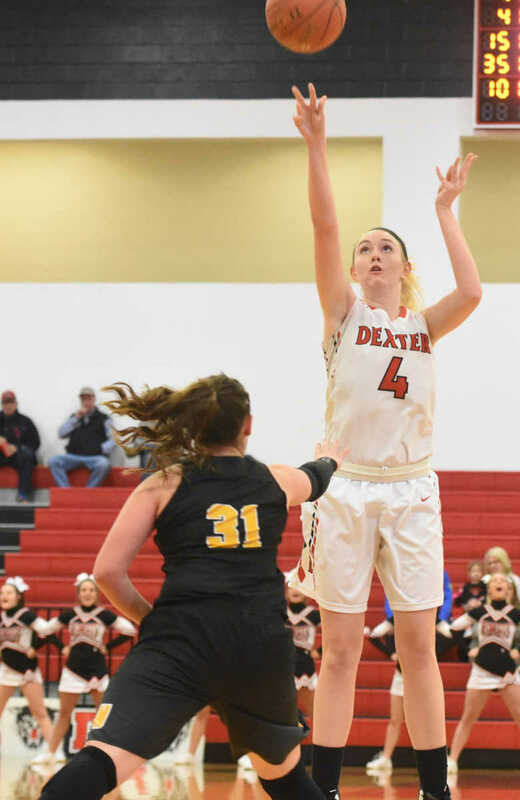 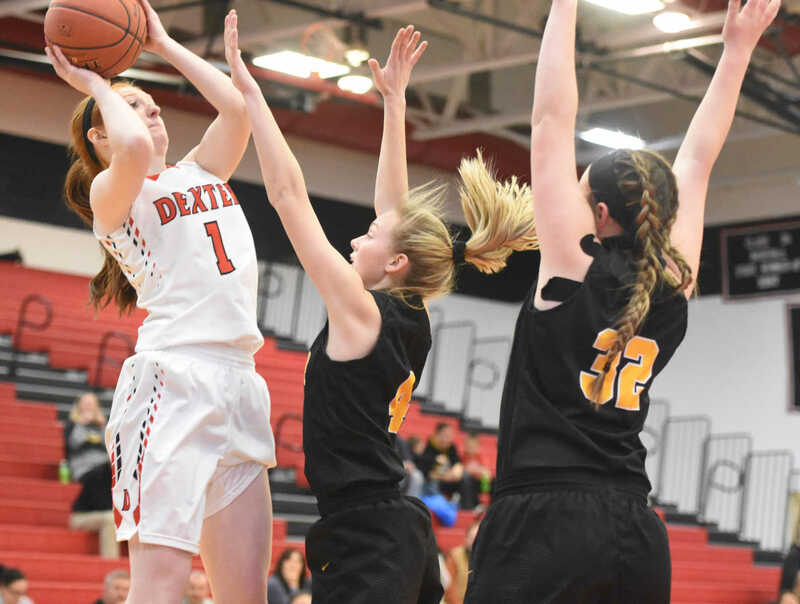 The Dexter Bearcats overcame a six-point first-quarter deficit to beat Naylor 60-44 Thursday, Jan. 31, 2019, at the Bearcat Event Center. 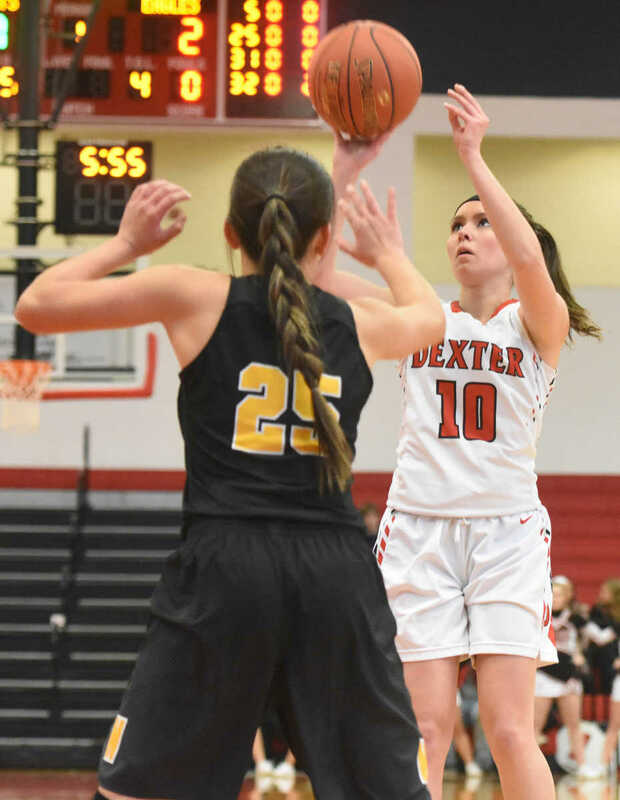 DEXTER STATESMAN/Kyle Smith Dexter's Maycie Martin shoots over Naylor's Kaylynn Johnson (4) and Danielle Shepard (32) during the first quarter Thursday night at the Bearcat Event Center. 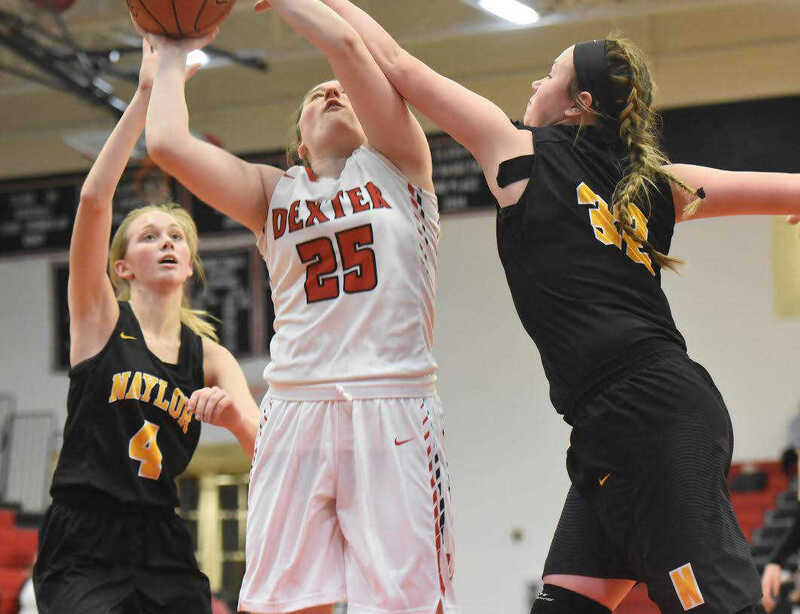 Martin scored 15 points in Dexter's 60-44 win.